Give Oily Skin a Treat With Our New AA Skincare Essentials Range - Amphora Aromatics Ltd – Supplier of pure essential oils and aromatherapy Products. 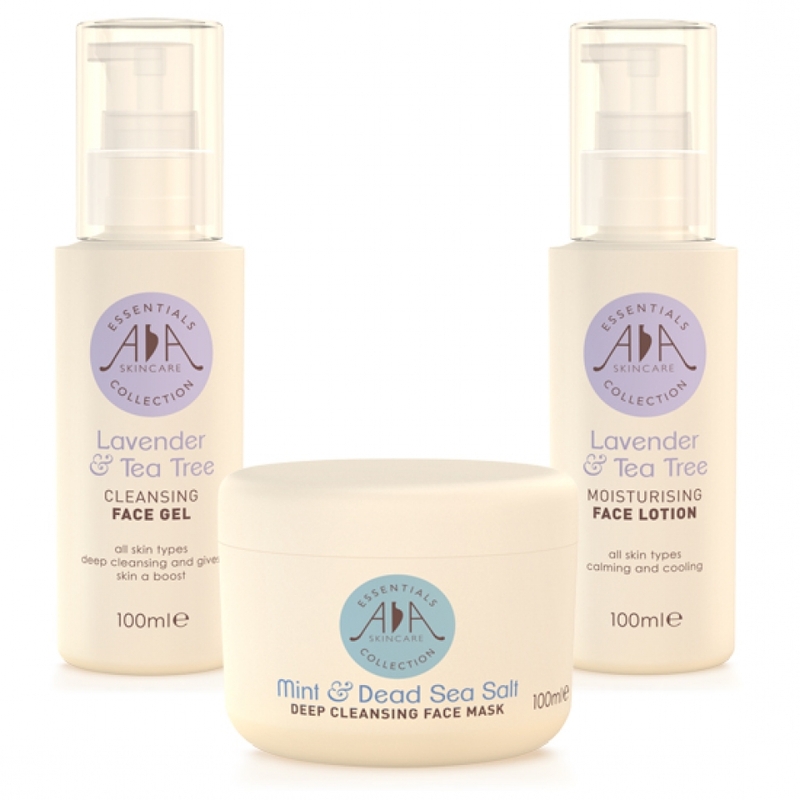 and nourish your skin with an easy at home facial using these fabulous products. With great antibacterial and anti-inflammatory properties this range is the perfect choice for oily, congested skin. 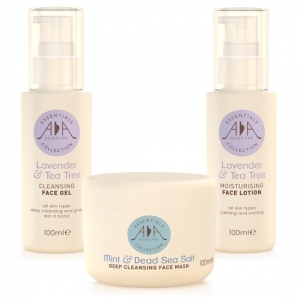 Lavender and Tea Tree not only cleanse and protect the skin, but tone and restore too. This deep cleansing facial wash is naturally antiseptic, antibacterial and anti-fungal, making it perfect for acne prone skin, spots, blemishes and other abrasions. Aloe Vera augments the soothing and calming properties of Lavender while Glycerin adds to the hydrating effects of the gel. It is important to give your skin a deep cleansing weekly face mask treatment as your skin will benefit a lot, especially oily, congested skin. Our new Mint & Dead Sea Salt deep cleansing face mask contains dead seats and natural clays that help to gently draw out impurities, absorbs excess oil and hydrate skin. With antibacterial and anti-inflammatory peppermint essential oil and witch hazel and bamboo powder to help sooth and tone skin, an excellent choice for spot prone skin. To use: apply the mask with your fingertips onto damp skin after cleansing and leave for five to ten minutes. Why not grab your favourite magazine or simply sit back, close your eyes and enjoy some peace and quiet while the mask gets to work. Rinse the mask off using warm water or a face cloth. With the warmer spring temperatures arriving, you may find applying a heavy day cream to protect skin from the elements is not necessary. Our new range of moisturising lotions are the perfect choice for a lighter, day time moisturiser. Our new Tea Tree & Lavender Moisturising Lotion is a lovely light, refreshing moisturiser that has great antibacterial, antiseptic and antifungal properties, perfect for acne prone skin, spots and blemishes. Simply apply a small amount to your fingertips and massage into skin. These three steps are really easy for you to do yourself at home and will give your skin a boost after the harsh winter months and leave it looking radiant. Next time I will be talking about which of our new products you can use at home in the same way for more Mature, Dry skins.